Everyday Life, Family, Pictures Juliette. permalink. 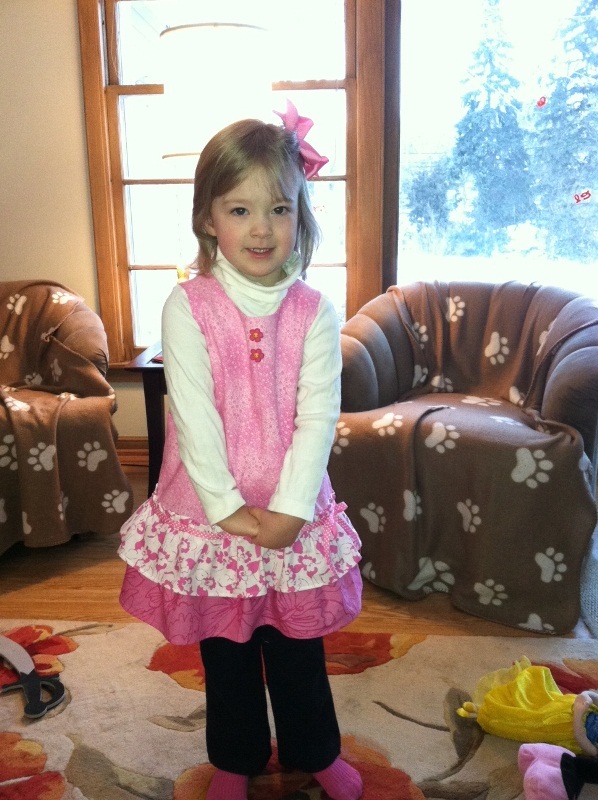 Just the cutest thing, in her pretty pink dress. 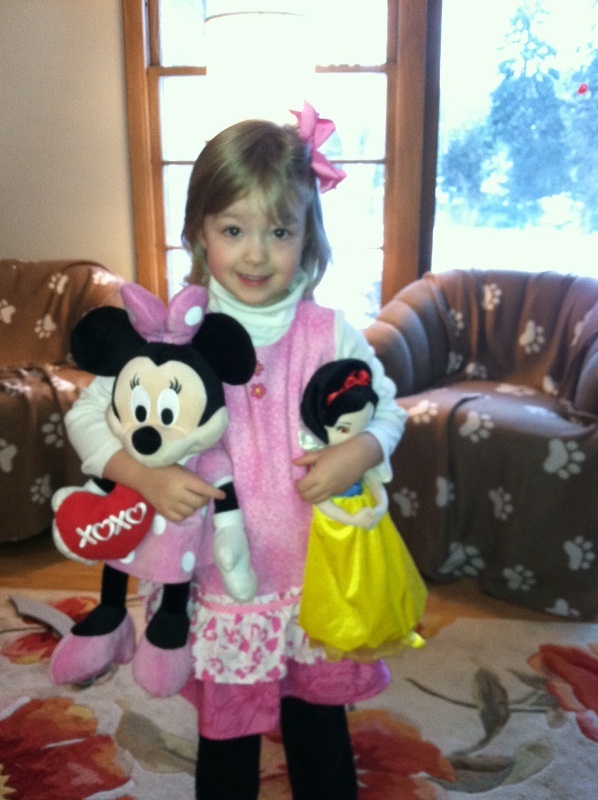 With Minnie Mouse and Snow White in tow. Good heavens. Darling dress – you’re a great Papa. And, Miss Juliette is looking so grown!! !